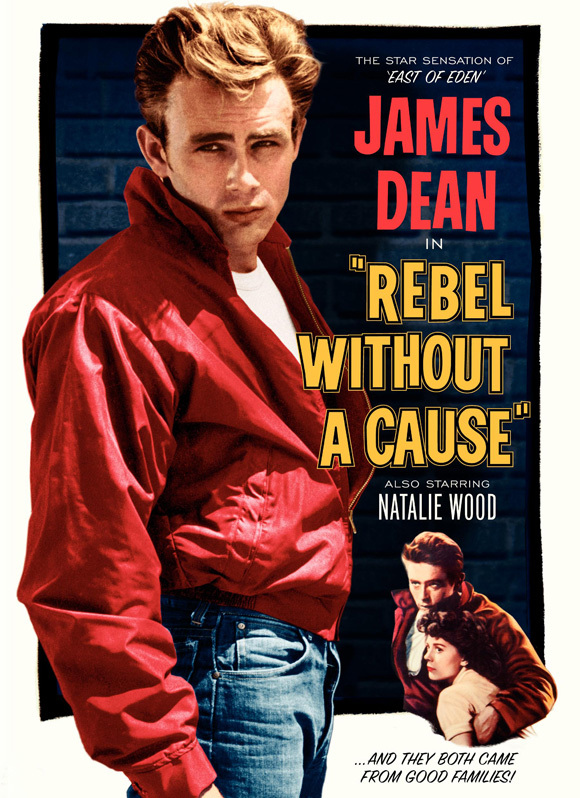 When Rebel Without a Cause is discussed today, the first thing to be brought up is always James Dean. And why wouldn’t he be? We have heard all about his tragic death at age 24 shortly before the film was released, and his performance as a troubled youth cemented his legacy. On top of that, Rebel Without a Cause is considered a landmark film, one that captured the voice of a new, young generation in the 1950s. Its cultural importance cannot be denied; unfortunately, it has not aged all that well. When Jim isn’t dealing with testosterone-fueled hooligans, he is hanging out with his only two friends, fellow schoolmates Judy (Natalie Wood) and Plato (Sal Mineo). Later in the film, while on the run from the bullies, the three of them seek refuge in an abandoned mansion. In a bizarre sequence, Jim and Judy act as part of a fantasy family, playing father and mother to the embattled Plato. The three of them share a common bond through teenage angst and broken families, but the whole scenario just feels awkward. Two 17 year olds pretending they are the parents of a 15 year old? It doesn’t help that Plato appears to have feelings for Jim, though given the Hays Code at the time, this is only subtly hinted at. 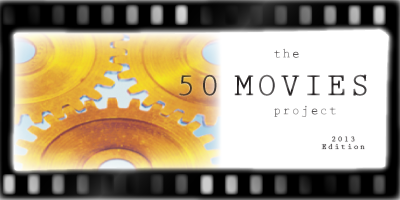 There are several memorable moments in the film, such as Jim’s classic “You’re tearing me apart!” line as well as the aforementioned “chickie run”, but many of the plot developments feel far-fetched. After the horrifying death of a classmate, everyone goes on with their lives as if nothing ever happened. Jim and Judy even fall in love almost immediately after this tragedy, despite the fact that the student who was killed was her very own boyfriend. It all becomes too much, and it’s hard to take any of the film seriously. Don’t get me wrong, the film is still entertaining, but I can’t help but wonder if it would have been as significant if James Dean didn’t die so young. Dean does deliver a strong performance here, commanding the screen every time he appears, though it does take some time to get used to the idea of him being a teenager (he looks every bit of 24). His character is unforgettable with his bright red jacket, blue jeans and his uncombed hair, and as such he is entrenched in American lore. Natalie Wood and Sal Mineo are quite good as his high school counterparts, but I was particularly impressed with Jim Backus as Stark’s father. The scene with him, in a frilly apron, on his knees cleaning up a mess on the floor before his wife finds out is just heartbreaking. The poor guy is so emasculated in a film overflowing with masculinity. I can only imagine how groundbreaking Rebel Without a Cause was back in its day, and as such, it remains a worthwhile watch. I would hesitate to call this a *great* film, but it is an important one, and sometimes that’s all that is needed. I completely agree. This is fine, even good, but I don’t think it nearly as brilliant as the general acclaim would seem to suggest. Thanks — glad to hear I’m not alone on this one! Share the same thoughts as you, Eric, on this one. Glad I sat down to watch it. Felt like I could “tick” that box. And enjoyed it for the most part. But it is awfully over dramatic. The “kids” look hella old. But it has some brilliant stand out scenes and moments. Think James Dean’s fate plays into the acclaim this film has. Though maybe for its time, it was a breakout film. Hah yeah, I had a real hard time believing James Dean was still in high school, too. It sounds like we agree on this one — definitely one to see, but pretty hit-and-miss overall. Nice review. 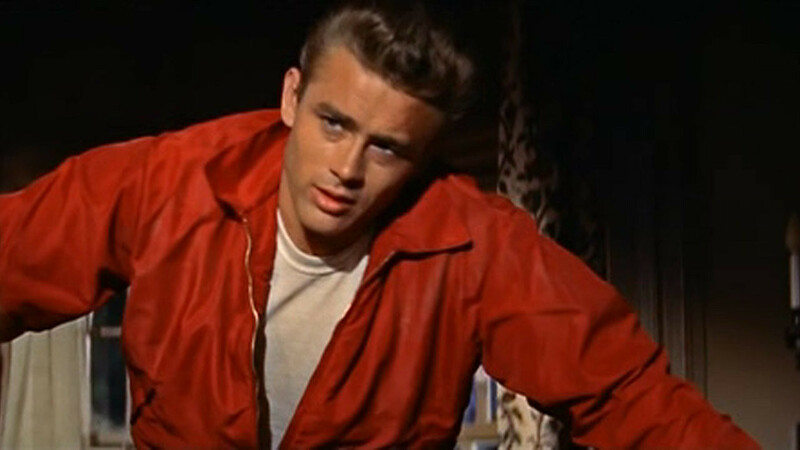 I’ve had to study and pick apart Rebel Without A Cause before and it’s a fascinating movie. I agree that in some respects it hasn’t aged flawlessly and I feel (SPOILER) Buzz’s ending is written off in the last section of the film, but its importance makes it a deserved watch. Thanks man. Yeah, it’s like the movie went in a completely different direction after the “chickie run” scene. I just had a hard time believing that everyone could just get over what happened so easily. Eric, I agree that it’s a very uneven movie. There are some great scenes that everyone remembers like the car race, “you’re tearing me apart!”, and a few others, but it’s also sort of odd and not very effective at times. This is a case where Dean’s involvement and its few top scenes sell it more than it might have gotten otherwise. Yep, I think you’re spot on about that, Dan. Without Dean, I can’t imagine this film having half the legacy it has today. I’d say it’s still worth a look for sure, Ruth. Just go into it with tempered expectations. Excellent critique of one the first “teen angst” films! I agree that it hasn’t aged all that well. Though it story telling it excels. Due to James Dean and his strained relationship with his father. Definitely worth a look. Not just for its fine array of young talent. But how Ray uses camera angles, light and the lack of it in key scenes. Still prefer Dean’s work in ‘Giant’. Where young angst and envy slowly evolves into old malicious arrogance. Texas size! Thanks, Jack! I’ll have to check out Giant. Even though I wasn’t a huge fan of Rebel, I’m very curious to look into the rest of Dean’s work. I’ve heard/read better things in general about Dean’s work in “Giant”. Though I can’t back this up since I have yet to watch a single James Dean film. One of the many pending projects I have in mind. Giant sounds like one to see. I’d still recommend giving Rebel a watch simply for its historical importance.